So- back to aeroplanes, which is what it’s supposed to be about here (mostly). 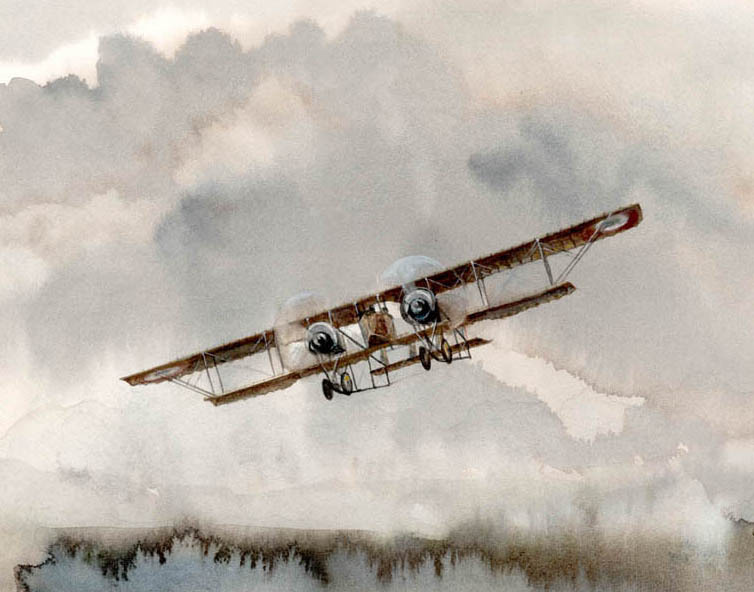 Here’s a watercolour of a Caudron G4 – a strange French multi-purpose machine of the Great War. This was the first ever sale I had with the Guild of Aviation Artists’ Annual Show. What a feeling to think somebody liked a picture enough to actually buy it! So that was me off the mark and exhibiting every year after that. Two years ago I exhibited this one below. It’s the same aeroplane but this time painted in oils and after a few more years of trying to improve. Hopefully it’s a better image, but sometimes I wonder if the simplicity of the first one isn’t stronger? 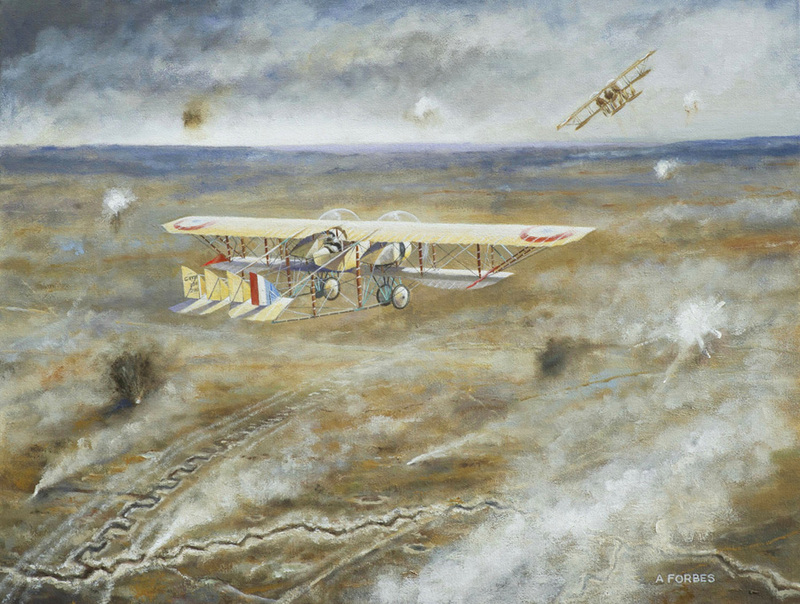 This Post was posted in Aero Painting, History and tagged Caudron G4, Guild of Aviation Artists. Bookmark the permalink.